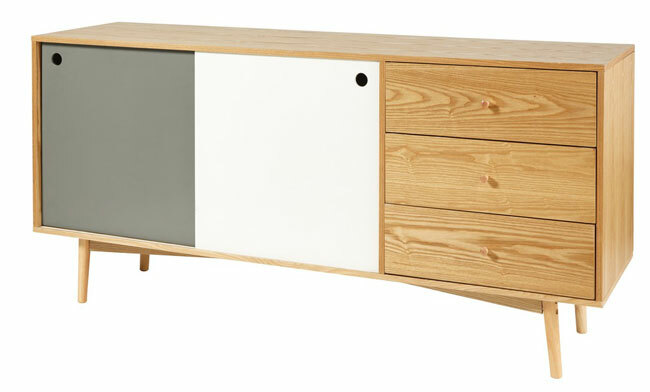 Good to see the retro designs still arriving at Maisons Du Monde, including the rather wonderful Whisper sideboard. 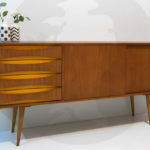 If the idea of something midcentury modern and with more than a touch of Scandinavian influence appeals to you then this is the sideboard for your living room. 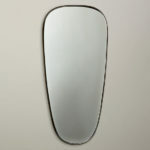 But it isn’t all about looks, even if the ‘look’ is the key selling point. 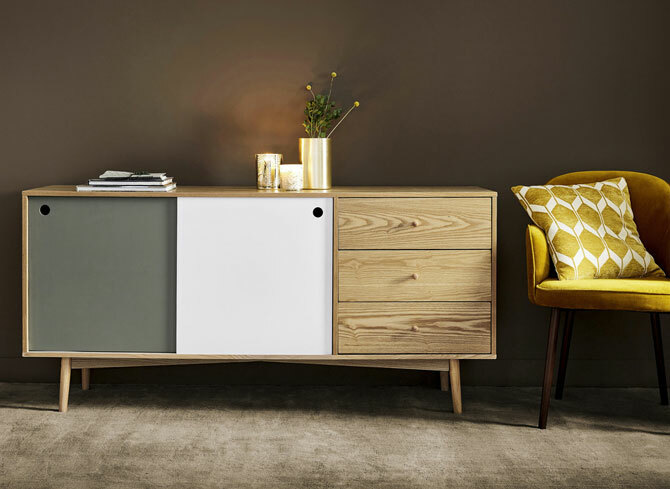 That look includes that splashes of colour for the doors, contrasting a light wood finish Rubberwood with an oak veneer) and finished with some smart angled legs. 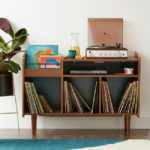 But if you want substance as much as style (and that’s pretty much all of us), this sideboard also has three good-sized drawers and if you some open the front, two shelving sections with an adjustable shelf too. 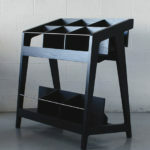 So a good amount of storage within, as well as a good amount on the top. 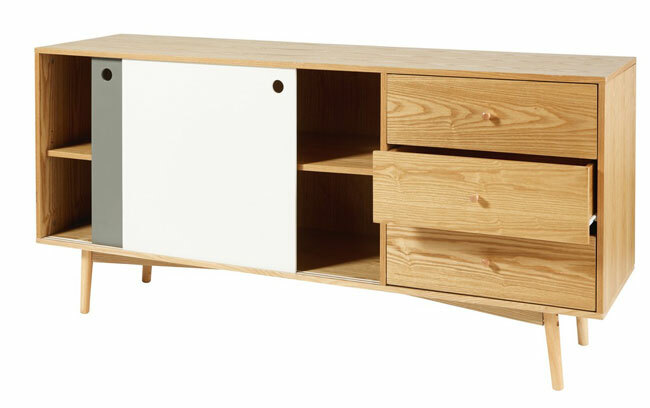 The sideboard is 160cm across. 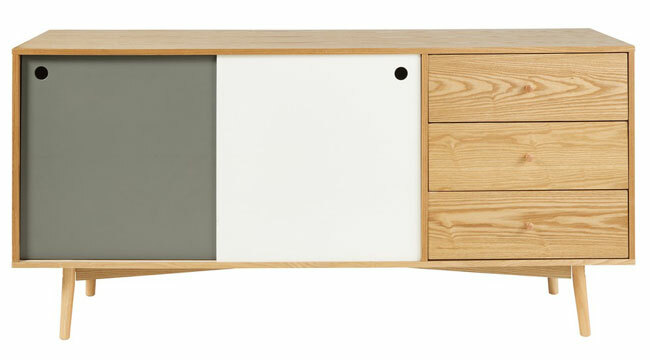 New in at Maisons Du Monde, the Whisper sideboard retails for £330.50.